With Christmas just around the corner, a popular one-day basketball camp for youth is nearing. The Holiday Hoops Camp runs Sunday, December 16 from 10 am to 1 pm at the main gym of the BU Healthy Living Centre. The free, three-hour basketball camp is open to all kids in grades 3-9. Participants will be offered the chance to have fun and learn some of the basics of basketball while supporting a good cause as all in attendance are asked to bring a new, unwrapped toy for the Christmas Cheer registry. 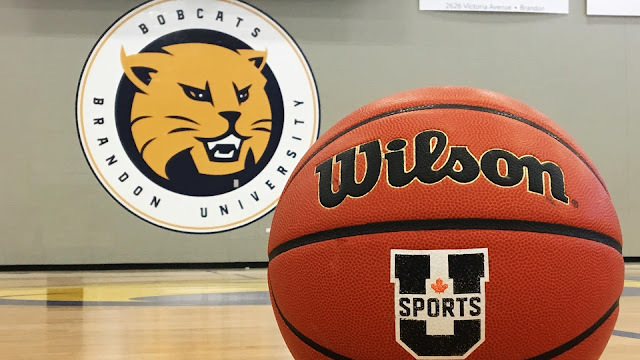 "It is always our favourite time of the year, as we are able to have so many people in our community come out and support a great cause," says men's basketball coach and BU Rec director Gil Cheung. "Our players love the interaction with the kids and truly look forward to this day each year. We have had over 350 kids come to this camp over the past eight years, and to think about all the toys that we have been able to donate to the Christmas Cheer here in Brandon always puts smiles on all of our faces." No pre-registration is required. Proper indoor footwear and gym attire are required.